We switched our 13-Month old Daughter from Whole Milk to Almond Milk. Should We be Supplementing with Anything Else? Help! What is best for my baby? Read our answer here! We received this question from one of our awesome mamas, Nikki, in our MAK Facebook group! Join in HERE and request entry into our group to ask questions and talk to other Moms just like you! Q- We switched our 13-month-old daughter from whole milk to almond milk. Should we be supplementing with anything else? Help! A- Almond milk is an excellent healthy choice as an alternative to whole milk! Doctors do suggest that an average child over the age of 12 months have only 3- 8 oz glasses of whole milk a day anyway. 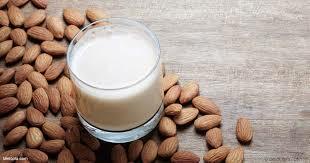 Almond Milk does have vitamins A and D but is low in calcium and protein compared to other milk. Toddlers get protein in their diets from other places but usually not too much calcium, that’s why milk is recommended in the first place. As far as supplementing, we suggest just making sure your little one is getting enough calcium and protein. Try picking an Almond Milk brand that is fortified with calcium and avoid a brand that is sweetened. This will ensure that your little one is getting the calcium they need and not too much sugar that they don’t need! The Institute of Medicine encourages children ages 1 to 3 to consume at least 13 grams of protein every day. Make sure your little one is eating enough of these high-protein foods appropriate for toddlers within this age range. Soft meats such as chicken, hamburger and fish, whole milk, cheese, yogurt, tofu, eggs and legumes are just a few. Some toddlers are ready to eat peanut butter, but ask your pediatrician to be sure. Yogurt and cheese will also help you fulfill the recommended amount of calcium (700 milligrams (mg) per day) that your little one needs if whole milk is not an option. 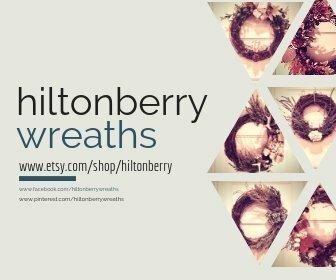 This post contains affiliate links, clicking on them costs you nothing and helps support our blog! Sick of shopping and standing in line? Try Prime Pantry and make life Easy! And as always—-The medical information on this site is provided as an information resource only and is not intended to be relied upon for diagnostic or treatment purposes. The information is not intended for any specific patient, and does not create any client-consultant or patient-nurse relationship. There is no substitute for professional diagnosis and treatment. Contact your child’s pediatrician for information about specific medical conditions and about your child’s nutrition and medical needs. Never disregard professional medical advice or delay seeking professional medical advice because of something you have read on this website.